When you hear the word “Renaissance Man”, the first name that usually pops up in a person’s head is that of Leonardo da Vinci. Da Vinci is the epitome of the Renaissance humanist ideal. He was not only an outstanding painter, but also an engineer, inventor, scientist, and philosopher. Leonardo was born the illegitimate son of a wealthy legal notary in Florence. His father kept on changing women, usually marrying women way younger than himself (including a 16 year old and a 20 year old), however he did take care of his little son as well. At 14, Leonardo became an apprentice in the studio of the painter Verrocchio. This apprenticeship is one of the main reasons why da Vinci became the man that he became. It set him on the path to becoming the ideal Renaissance Man. When thinking of a painter’s studio, most people will picture some brushes and a canvas, but a Renaissance painting studio was much more than that. It was in fact a mini-incubator for people who could do a variety of things. Verrocchio encouraged his students to study anatomy in order to be able to correctly draw the human body. So the young Leonardo spent countless hours studying the body and all its features, even performing dissections. Painters of that period also had to be skilled in chemistry, as they kept on experimenting with new materials in order to try to create the best colors possible. 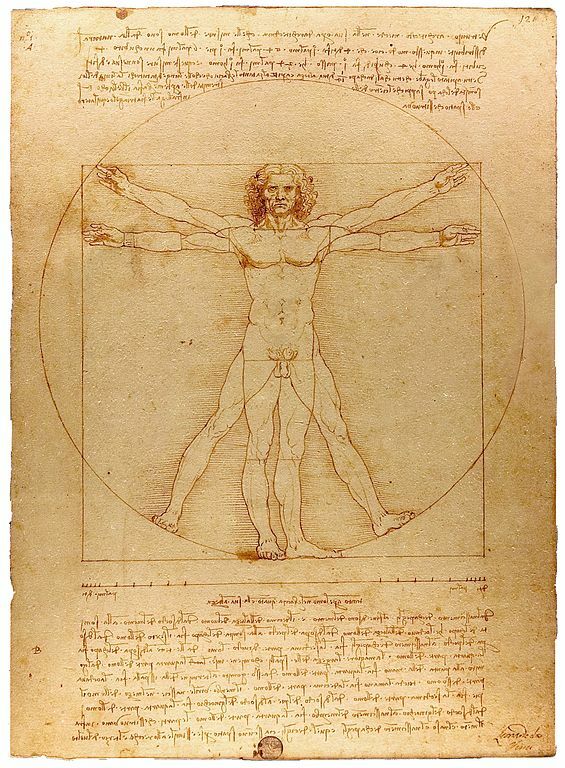 Being skilled in anatomy and chemistry were just a fraction of the things that Renaissance artists had to know in order to be able to create their works. This made them very different from modern artists. The artists of that period had to be jacks of all trades and in many ways resembled scientists, always experimenting and trying to come up with new ways of doing things. The fact that he started off as a painter, gave Leonardo a very special tilt to his scientific explorations. His way of examining the world was very different from that of other scientists. His theorizing heavily integrated the arts and painting. Through paintings and sketches, he tried to capture what is really happening in order to study it better, and this was at the center of his method of analysis. Another word for Renaissance Man is “polymath”. A polymath is a person who is an expert in a wide range of different subjects and areas of knowledge. 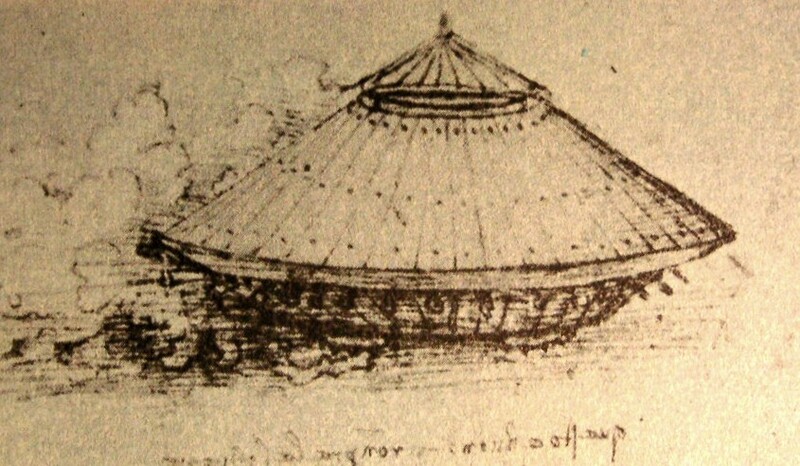 Leonardo fit this description perfectly, not only did he draw the Mona Lisa, but he also worked as an engineer, for example coming up with a system of moveable barricades to protect the city of Venice, drew various very accurate maps, came up with many inventions (including specifications for a primitive tank and helicopter), and performed numerous scientific experiments. An important aspect of his work is that he kept very detailed notes and journals, which included many sketches of various ideas. What is interesting is that many of his writings were written in a mirror-script. This attempt at secrecy could hint at an internal fear that some people might steal his ideas. However he never left an explanation of why he used this mirror-script and so that will most likely forever remain a mystery. Renaissance humanism tried to bring back the knowledge passed down from Antiquity. The humanists of that era searched through libraries and read widely in order to try to find as much ancient knowledge as possible and try to learn from it. They then applied these ancient ideas to their own world. One of humanism’s main tenets was that humans are limitless in their capacity for development. The Renaissance ideal was to try to embrace all knowledge and develop yourself as fully as possible. A man should be skilled in different areas: intellectual, artistic, social, physical. There are some general prerequisites that a man has to fulfill in order to be able to function to his fullest potential in society. A man should be able to speak and write with eloquence, describe things clearly, and be persuasive. He should also be physically fit and have a deep knowledge of various subjects. Having all these abilities would result in the perfect gentleman who is able not only to talk about any subject, but also contribute to advancing several of these domains. Modern movies try to show this easy nonchalance in their main characters all the time. Just think of all the movies where the hero does seemingly impossible things as if they were easy. The hero easily breaks into a high-security installation, runs effortlessly through the desert, dispatches ten enemies at the same time, constructs powerful bombs out of a soap on a rope and some sticks, or solves puzzles through powerful deductive skills. A Renaissance Man has both a good mind and a healthy, strong body. 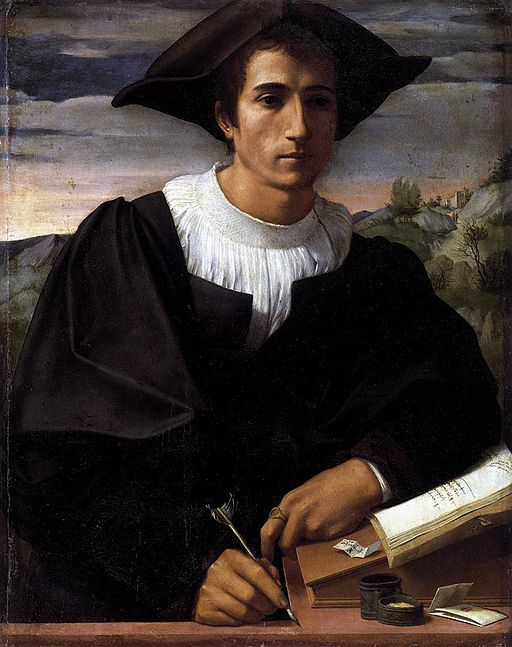 Another Italian humanist who epitomized the Renaissance Man ideal was Leon Battista Alberti. He is known primarily as an architect, but he was a poet, linguist, philosopher and cryptographer. He designed and built many famous buildings around Italy, but also invented the first polyalphabetic cipher. The ideas on human capacity for self-development professed by these Renaissance scholars have a solid basis. Modern research also seems to confirm the Renaissance tenet that humans have an almost boundless capacity for development. The tenet is akin to the “growth mindset” described by some psychologists. Recent scientific research has discovered that the brain is not a static organ, but instead changes due to outside stimuli, which has been referred to as brain plasticity. This means a person can learn and improve themselves at any age. Having a wide knowledge base is a valuable commodity. A person won’t know much if they just possess a few isolated facts. These facts need to be put in a wider perspective. It is facts and the context that they are found in and the different combinations of these that allow us to arrive at discovering how the world really works and then applying this knowledge in order to come up with new ideas and putting these ideas into practice. You should have models in your head and compare these models with your experiences. It is not enough to just have a few models, but you need to have many of these models (from different fields), in order to be able to use them in different situations. For Munger, the models that he had in his head formed the basis of his investing strategy and made him one of the richest men in the world. These models can serve as useful frameworks that you can apply at different times. You need to have multiple tools in order to solve problems, for as the saying goes: to a man with only a hammer, every problem looks like a nail. Having multiple tools at your disposal will make you a more versatile person, who is able to overcome different challenges and figure out new ways of doing things. What are the traits of a Renaissance Man? How do you develop the capacities of a Renaissance Man? Unfortunately, we live in an era of monomaths now. This means specialists. The problem with that is that people get stuck with one way of thinking, they have blinders on, and cannot see the big picture, including the relationships and similarities between different things. That is why it is becoming more important than ever to embrace the ideals of the Renaissance and become a true Renaissance Man, a polymath. This will bring you a wider perspective on things and not only develop you as a man, but also give you the tools and abilities to succeed in whatever you attempt to do. Deliberately put yourself in situations which will challenge you, give you new perspectives and teach you something new (for example traveling). In this way you will gain a wide variety of experiences, which you can learn from and apply later. You always need to be curious and work on improving yourself. The most important aspect of this is to always be learning new things. Never stop. Step 1 in the Renaissance Man Project: Creating a Vision. Personality Types: Why are you the way you are. Return of the expert-generalist and what you need to succeed in this world. Unfortunately we do live in a world of monomaths. I have been told that I’m a man of many trades but a master of none! Before that would bother me so much because I felt that I was not “Up to par” like everyone else. Also i could not keep my mind focused in one thing as I’m curious by nature and I want to learn about the things that are interesting to me. There is so much out there to learn that focusing on just one thing I think is a disservice to anyone. I know about Technology, History, Art, Philosophy and Politics albeit my knowledge in those fields are not indepth except for Technology still I could have a conversation with a person and know what they are talking about. I still get amazed when i talk about things like History and how it correlates with certain events in History. For example: The other day I was at the cafeteria having lunch with a bunch of work buddies and the topic lead to how the Germans killed jews and stuff like that. I then told them that the Nazis did not invent the idea of breeding a “Super Race” that idea can from the Eugenics movement that was around before WW2. Where? Eugenics was invented in the US and the Nazis took the ideas from Eugenics and expanded on them. I know it because I picked up a book and read it and learn to put 2 and 2 together. Learning about all these different things gives you a new wider perspective on the world we live in. Most people are very ignorant about the world and how things work and that’s why they are easy prey to people who manipulate them. I actually find the more I learn, the more I feel that I don’t know. 🙂 Thanks for your kind words and the comprehensive comment. I think its the more you learn the more confused you become because at least to me i find that everything in life is connected to everything else this immense web is hard to fathom in my mind. For me now when ever i watch the news or whatever else I tend to be a little more cynical and not take things at face value but instead research it to find a connection into why it happened. Yes very true. There are so many connections in our world. As they say, on one side of the world a butterfly might have flapped its wings, and that flap turned into a hurricane on the other side. However we also need to be careful not to overanalyze and connect things that are not connected. The human mind often sees patterns, where they don’t exist (see my articles on critical thinking). We need to be able to distinguish between where the patterns really exist and where they don’t. Getting expert level knowledge in multiple areas require dedicated efforts and perseverance. In the present culture where everyone seeks for “quick fixes”, not many people out there to explore the Renaissance “Manhood”. I think we need such genius to make our world a better place. The major problem with the idea of the “Renaissance Man” is that the human population is so pressured to specialize in one idea. “Be good at what you do”, is a common saying that is exposed to people in the work-force, what this does is forces workers to not explore other options or opinions but stay settled with who they are and what they know. The theory of being curious and examining every perspective is hammered away by the need of financially providing for yourself that many people do not have the time to explore and risk themselves to find the Renaissance Man in them. But personally I agree with you Peter, the best man is not found in the future before us but is found in the past, The Renaissance man. I think the Renaissance Man is making a comeback. Many problems in today’s world require a multi-disciplinary perspective and you can only get that if you follow your curiosity and learn about different things. A lot of the icons of today like Steve Jobs, Elon Musk or Charlie Munger are well-versed in different disciplines and apply meta-skills (or mental models) to solve problems in different fields. Of course it is also good to specialize, since you will need a deep knowledge in at least certain fields to be able to get paid, but this specialization needs to be complemented by knowledge of other fields. That’s why I promote the T-Shaped version of a Renaissance Man, one who has deep knowledge in some fields, but a wide breadth of knowledge of many fields and can use this wide scope to solve all kinds of problems. Pretty much. 🙂 A lot of useful lessons can be found in the past.